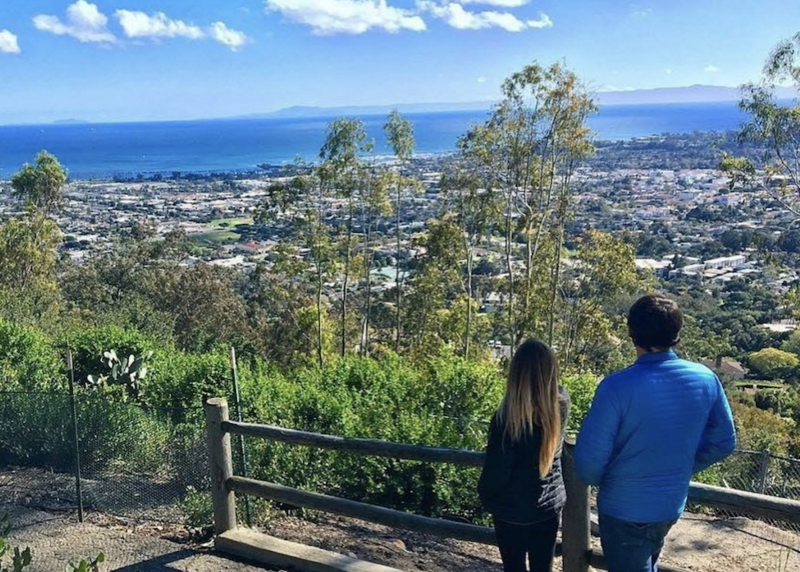 View of Santa Barbara, California, from Franceschi Park. Photo courtesy of Visit Santa Barbara. Californians used to envy residents of our beautiful, wine-and-wealth-drenched Central Coast. Now we have reason to pity them. And not just because Nicole Kidman has thrown her star power into producing a TV series based on the premise that Monterey’s women might be murderers. The past year has brought one calamity after another. Last summer’s Soberanes Fire burned a vast swath around Big Sur for 83 days, fouling the region’s air and becoming the most expensive wildfire to suppress in U.S. history. Central Coast communities suffered some of the most severe water shortages in the state during the drought. And when this winter’s rains came, the Central Coast was hit with flooding, landslides, and the failure of a vital bridge. Then there’s this: A new report from the Public Policy Institute of California (PPIC) shows the Central Coast is California’s capital of child poverty. Santa Barbara County, of all places, had the highest poverty rate for young children (30.8 percent) in California from 2012-2014, the years for which the most recent data was available. Other Central Coast counties—Monterey and San Benito—had the second-highest child poverty rate. The report (which includes excellent maps on poverty among the very youngest children, ages 0 to 5) shows childhood poverty running especially high in the region’s bigger towns, especially Salinas and Santa Maria. You might be surprised to read that, given that most narratives about California poverty involve the Central Valley, Inland Empire, or the far north state. None of the four counties where more than 25 percent of all residents live in poverty—Fresno, Imperial, Merced, and Tulare—are in the Central Coast region. In fact, the prosperous Central Coast has three cities—Santa Cruz, San Luis Obispo, and Santa Barbara—that ranked in the top 12 of all metropolitan areas nationally in a recent survey of residents’ well-being. But don’t be shocked. The geography of California poverty has been flipped by coastal prosperity itself. More advanced methods of measuring poverty—by accounting for differences in the cost of living and the use of safety-net benefits across regions—have captured regional shifts in poverty. In the process, they have revealed greater poverty on the Central Coast. The region’s very high cost of living, most notoriously around housing prices, leaves even people who earn well above the traditional poverty line quite poor. Consider, for example, the poorer person living in Santa Barbara who considers moving to the poor San Joaquin community of Tulare. In Tulare, the cost of living would be lower. But you’d also be less likely to be working, and you’d be making relatively less when you work, which would leave you relying more on social services to support your family. In Santa Barbara … you’re more likely to be able to get a job, and even a job that pays more than you’d make in the Valley. But you’ll still be well short of what you need to cover housing, medical bills, and other expenses that add up to a high cost of living. In Santa Barbara, poverty is different, and in some ways tougher. In that city, the cost of living is much higher. You’re more likely to be able to get a job, and even a job that pays more than you’d make in the Valley. But you’ll still be well short of what you need to cover housing, medical bills, and other expenses that add up to a high cost of living. And your higher income might make you ineligible for safety net programs that would help. The Central Coast’s predicament contributes to an updated picture of the stresses of a state in which poverty and wealth are neighbors. Despite the frequent association of poverty and unemployment in the popular imagination, most poor children in California live in families with at least one working adult. And, even in an era when California’s job growth is leading the nation, working people are struggling to keep up with the rising cost of living. The PPIC analysis found that child poverty rates in the state are still substantially higher than before the Great Recession. To put it another way, poverty programs don’t have all that much impact in places where it’s expensive to live. The Central Coast’s predicament is a strong argument for changing that. And change would involve new policies. First, California’s wealthier jurisdictions need to get better at reaching those eligible for programs. (Fresno County tends to be better at getting safety-net benefits to eligible residents than Bay Area counties like San Mateo and Marin.) Second, more programs should be adjusted to make eligibility easier—and benefits more generous—in costlier regions. The Central Coast’s child poverty also speaks to the scandalously minimalist response by the state and its local governments to California’s shortage of housing. The huge run-up in housing prices here—the median home price in California is 2.5 times the national average—is not merely a financial headache for the ambitious. It’s a poverty issue. And you can see it in the excessive overcrowding in high-poverty neighborhoods from Santa Maria to Salinas. It’s a cruel irony that many of the coastal California cities and counties that have imposed tight restrictions on new housing and development also are home to levels of poverty that don’t get enough attention. Such communities should be aggressively challenged. Their NIMBYism, rationalized as “preserving community character,” is actually making people poorer. None of these changes will come easily or quickly. In the meantime, say a prayer for the kids of the Central Coast.